Track product prices on Amazon.co.uk and Argos.co.uk! 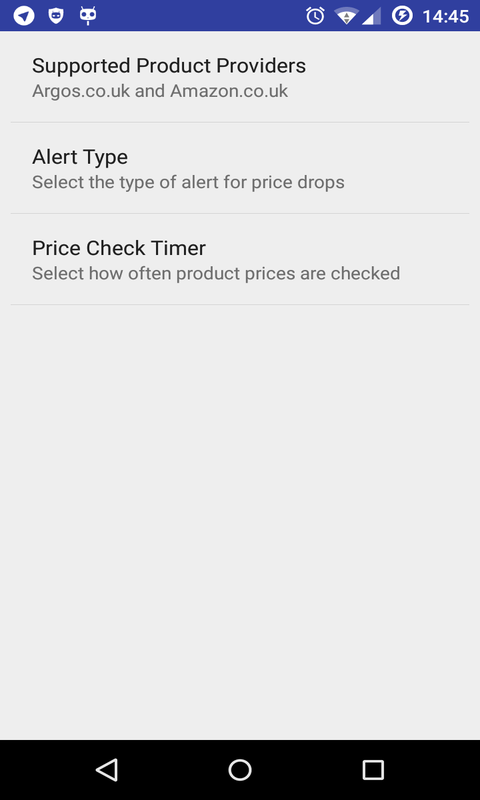 Easily track the prices of products you want and get a notification when that product goes on sale! 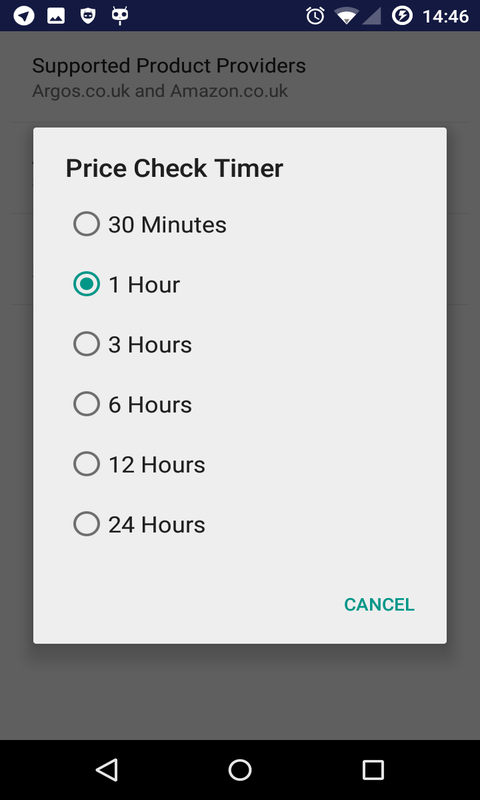 Easily share a sale to friends! 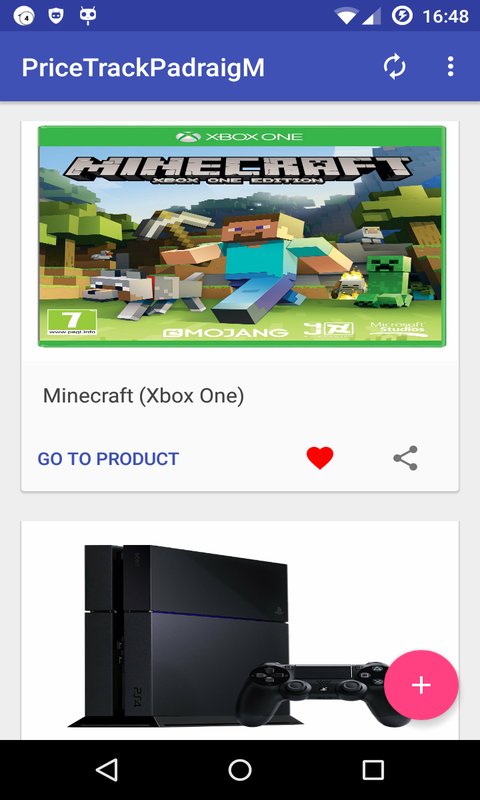 Shake to add product feature! 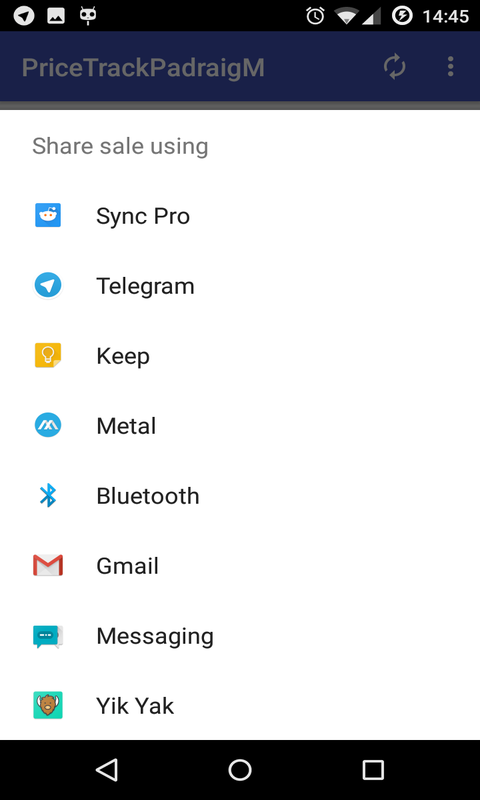 Material design throughout the app! Customisable! 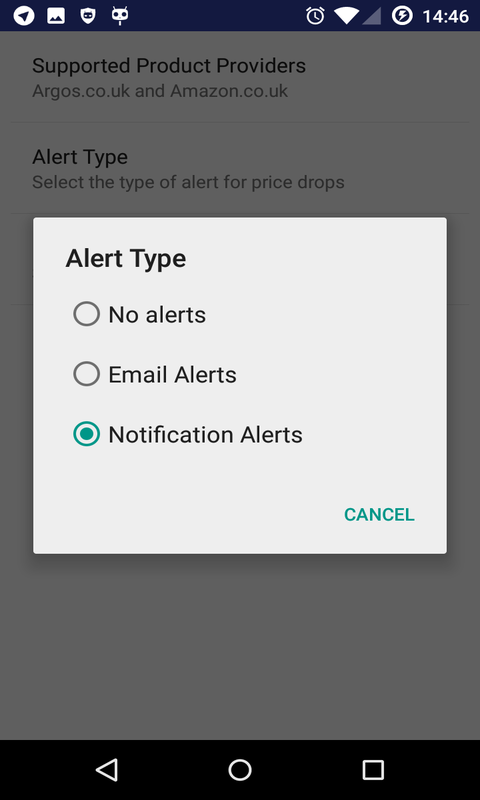 Change notification type and occurance! 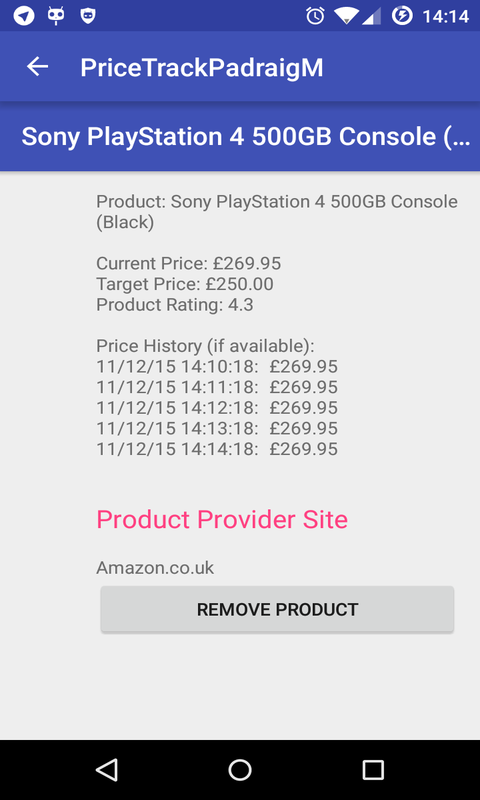 View product price history and description!